Ruth passed away peacefully at the Souris Personal Care Home on May 23. three weeks short of her 101st birthday. She was born in Agincourt, Ontario June 12, 1914 on the Yeamans family farm, one of five children. 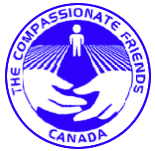 Ruth received her education in the Agincourt area and became interested in youth work, Junior Farmers and Homemaker clubs of Ontario, serving as president for a term. Married to Hugh Jackson in 1940 she came west to Souris, raised a family, and was involved in the livestock and farming business. Following Hugh’s death in 1987 she successfully carried on in the Thoroughbred industry receiving many awards and tributes ,one of which made her” Honorary Official” of the Horse Racing Commission of Manitoba in 1990. 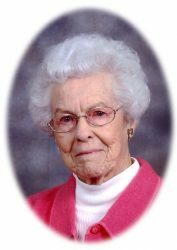 She was president and “honorary” member of the Souris United Church Women and enjoyed being involved in all phases of church work. She was also a Rebecca Lodge and I.O.D.E. member, as well as “honorary” member of Beta Sigma Phi. She continued to involve herself in activities of younger people giving her time and energy freely over the years. She was fortunate and grateful for a very sound mind as she aged through the 10 decades of a changing world. Her acceptance and adaptation to constant change was one of her remarkable qualities. Her home was the “hub” for her 9 grandchildren growing up. She later had 13 great grandchildren. Truly a family matriarch she lived life with dignity and grace, loved by her family who all appreciated her wisdom, warmth and kindness. Left to mourn her passing are her sons Don (Donna), Doug (Ruth) and her daughter Lorraine (Doug) McGill. We celebrate her for the exceptional woman she was a life well lived. In lieu of flowers donations may be made to Souris Personal Care Home c/o Prairie Mountain Health Box 10 Souris, Manitoba R0K 2C0 or a charity of your choice. My most sincere condolences of the loss of your dear mother. Although I haven’t seen her for quite a few years I have fond memories of a wonderful woman with a warm smile and kind words for everyone. Deepest Sympathy to the Family. Ruth was an amazing lady. I am the daughter of Hugh Clark who was a cousin of Ruth’s. I had been in contact with her in the past when we lived in Brandon but in recent years we have been living in Sandy Hook, Manitoba and now in Sidney, B.C. and I have not been in contact except by phone on some occasions. Her husband Hugh, was the reason that my Dad Hugh Clark came from Ontario with a train car load of horses for the Jackson farm and consequently my Dad eventually settled on a Saskatchewan farm. We were very sorry to hear of your Mom’s passing. Our families go back many, many years and we have so many happy memories of the Jackson’s and the Moore’s and the great times we had together over those years. Ruth was a very special person to us all. Thinking of you with sincere sympathy in the loss of your Mother. What a wonderful life and a beautiful lady. Reading her obituary brought back many childhood memories. My love and prayers to Don, Doug and Lorraine. Lorraine, Doug, Don and families; I noticed the obituary in the Sat. Free Press.